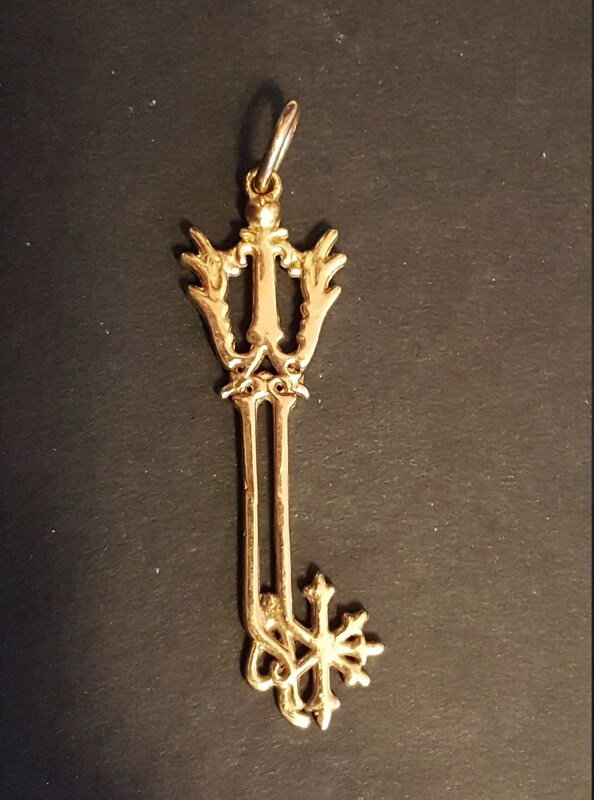 This is a handmade pendant based on the Oathkeeper Keyblade from the hit video game Kingdom Hearts, of which I'm a fan of. 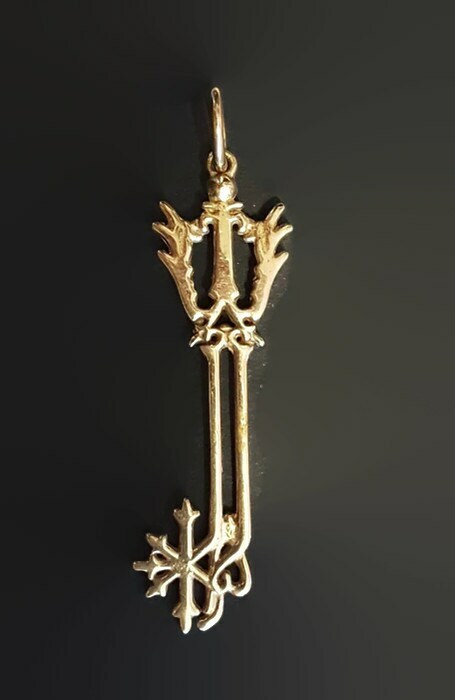 Made in antique bronze, the pendant measures 6cm long plus the loop and 1.8cm wide and two sided. The jump ring is a nice size for any chain or cord.